The Conforzi Plantation is a family owned Tea Estate located in in the southern region of the Thyolo district, which is at an altitude of 3000 feet in the warm heart of Africa – Malawi. An area of outstanding beauty with precious and fragile rainforests, not far from the central business hub of the country, called Blantyre; which is just 40 kilometers away. Back in October of 2007 Conforzi was looking for a method of upgrading the airstrip on the plantation, which is used for the transport of the tea they produce. Mr. Nick Whyte, owner of Makandi Aviation the company that applies fertilizer over the entire plantation by air recommended that an EBS Surface Seal would be the ideal solution for the upgrade to the airstrip. 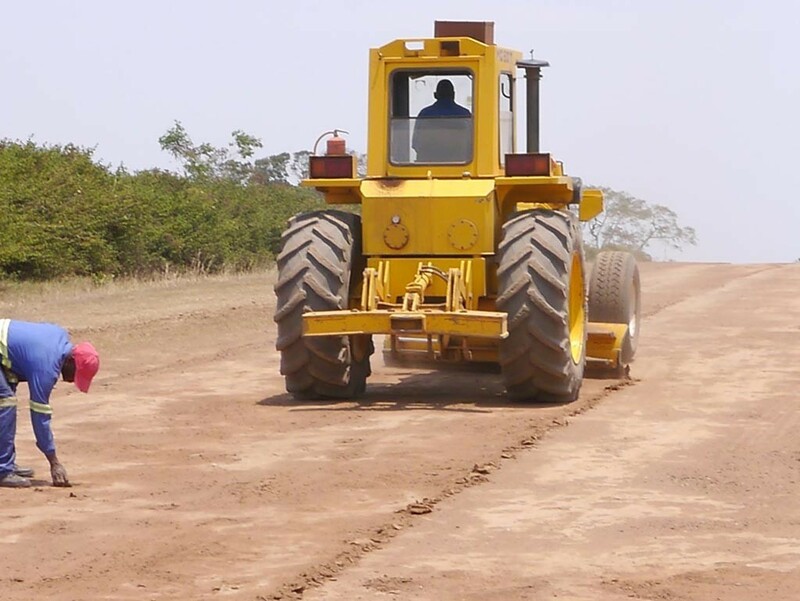 Soil Solutions provided the Engineered Base Stabilizer (EBS) and Makandi Aviation prepared the airstrip and subsequently applied the EBS Surface Seal. The application of the EBS Surface Seal seals and protects the surface from erosion, loss of fines, cracking or pothole formation and most importantly eliminates dust and allows for increased safety, visibility, and significant reduction in runway maintenance as well as aircraft maintenance.